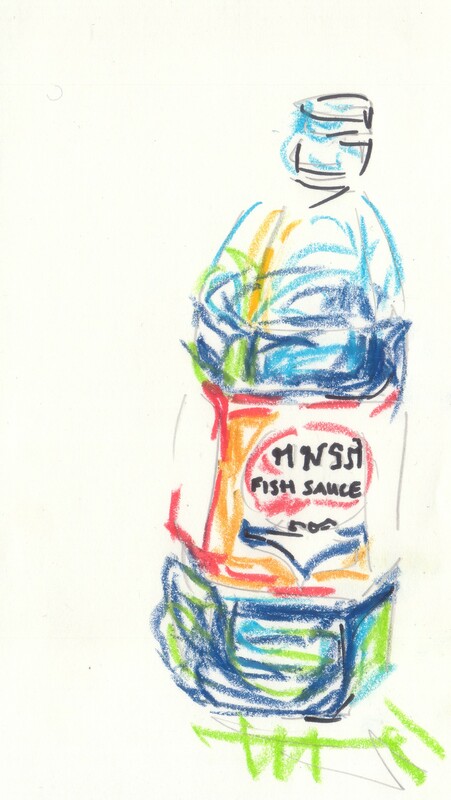 Fish sauce sounds much less exotic than nam pla. A clear pungent liquid to be used in all kinds of pretty, and hearty things. Like a stock cube, it makes flavours deeper, brighter. Add a splash to chicken noodle soup for extra savoury punch. Even half a teaspoon to beef up a sad bolognese. Make an Asian dressing with ginger, soy sauce and sesame oil. Mix with leeks and ricotta to stuff mushrooms that taste better than vegetarian. Stir just a few drops into a creamy red Thai curry to complete the authentic five flavours: sweet salty sour spicy fishy.